Only one side moves (and that side usually only has one piece). That side must capture a piece with every move. The goal is to capture all of the opposing pieces. This chess maze is special, though. White always moves. 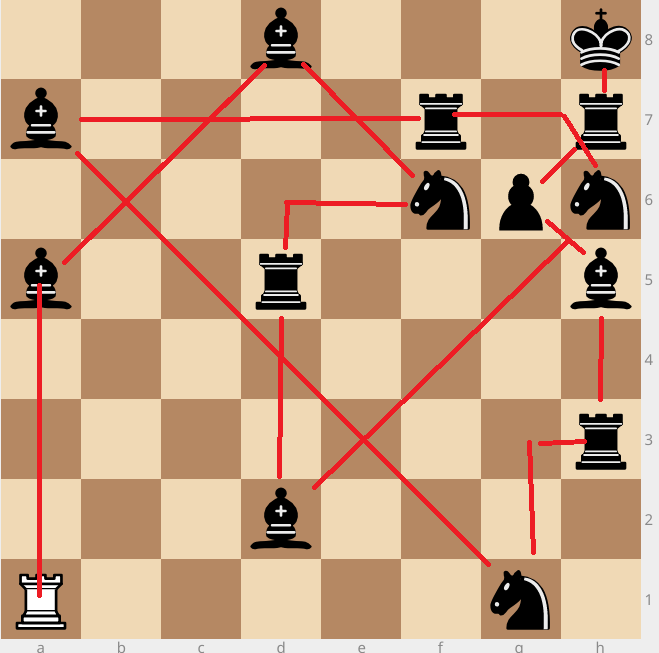 Whenever White's only piece makes a capture, it turns into the piece it just captured. For example, on 1. Rxg1 a possible next move is 2. Nxh3. Clarification: If the white piece turns into a pawn, it moves the same way as a white pawn. A correct solution will have no pieces remaining except a white king on h8. Not the answer you're looking for? Browse other questions tagged chess mazes or ask your own question.